Rancho Bernardo offers great values to a wide variety of home buyers. There is a choice of neighborhoods, each with a full feature community center. And there are wonderful places for shopping, services, employment, education, retirement, and recreation. The architectural plan combines with the natural beauty of the area to make this a very special place. There are two age restricted (55+) areas including the original community of Seven Oaks and the golf course community of Oaks North. The award winning Poway Unified School District serves all areas of Rancho Bernardo. There are 81 holes of year-round golfing and another 72 holes within 2 miles of Rancho Bernardo. The Community Park, Public Library, nearby lakes, trails, and recreation add to the enjoyment and scenic beauty of the area. Newly built and improved roads, highways, and transit provide easy access to San Diego’s coastal regions, universities, and employment centers. For community information, photographs, real estate prices, market trends, and floor plans; click on the photos or links below. This beautiful new bridge across Lake Hodges is now open. The innovative "stress ribbon design" accomodates the 990 foot span with only two piers in Lake Hodges. As a pioneering master planned community, Rancho Bernardo became the model for success throughout the country. Originally developed as a seniors community in the 1960’s, it grew into a variety of residential communities with a thriving business center in San Diego’s North County. Defined by its architectural standards, the views include a sea of red-tile roofs across the golf course and mountain views. With near perfect year round weather, Rancho Bernardo sports a beautiful landscape of rolling hills refreshed by ocean breezes. Its golf courses, parks, and natural settings are surrounded by several unique communities, each defined by its own community center. Did we see a Double Rainbow in Rancho Bernardo? Yes, late in the late afternoon following an unusually heavy late summer rainstorm on September 30, 2010. The late afternoon commuters on I-15 were treated to this spectacular scene. Does it ever snow in Rancho Bernardo? Hardly ever, but the snow was visible on Palomar Mountain after a surprise storm blew through the area on February 14, 2008. The setting sun added the color by sneaking under the storm clouds. This is one of the newer golf course communities in Rancho Bernardo. Originally described as High Country East in the community plan, it was developed and marketed as Bernardo Heights. It includes a variety of housing, from attached homes to custom golf course estates. It is also the home of Rancho Bernardo High and Bernardo Heights Middle Schools, both part of the award winning Poway Unified School District. Camino Bernardo is a residential community in the southwest corner of Rancho Bernardo. Located south of Camino Del Norte and east of Bernardo Center Drive, it sits between High Country West, 4S Ranch, and Rancho Penasquitos. It consists of 300+ hillside homes. The Falls, within Camino Bernardo, is a collection of condominium town homes with easy access to area employment and shopping areas. Carmel Mountain Ranch is a community that is located within the City of San Diego. It is located east of Interstate-15, south of Rancho Bernardo, west of the City of Poway, and north of Sabre Springs. Many of the homes in Eastview have spectacular views across the hills and golf courses of the RB Inn and the Country Club of Rancho Bernardo. Gatewood Hills is a residential community in the heart of Rancho Bernardo. Originally developed in the late 1960's and early 1970’s, it begins at the northeast corner of Rancho Bernardo and Pomerado Roads. Characterized by its scenic hillsides with boulders, many of the homes have spectacular views of the surrounding areas. Chaparral Elementary School sits between Gatewood Hills and North Poway in the Poway Unified School District. The Greens include several upscale golf course neighborhoods surrounding the Rancho Bernardo Inn and the Country Club of Rancho Bernardo. High Country West is one of Rancho Bernardo’s most popular residential neighborhoods. It consists of 681 detached and twin homes, many with spectacular views of the surrounding communities. Located near high-tech employment centers, it is bounded by I-15, Bernardo Center Drive, and Camino Del Norte. With new road connections to the west, it has become part of Rancho Bernardo's gateway to the coast. High Country West is home to the award winning Turtleback Elementary School and the spectacular High Country West Community Center, one of the best kept secrets in Rancho Bernardo. Montelena, built in the mid-1980’s, is a beautiful collection of large family single family residential homes in the northern part of Rancho Bernardo. Oaks North is a popular 55+ golf course community in Rancho Bernardo. It has a mix of detached and attached homes surrounding the 27 hole public executive Oaks North Golf Course. Its streets are in a golf cart zone, and you can ride to the Rancho Bernardo Winery which is in the neighborhood. Incorporated in 1980, the City of Poway is located in the north inland area of San Diego County. Fondly known as the "City in the Country", Poway is well known as a progressive city with horse properties, estate homes, modern businesses, and homes in a variety of price ranges. Located adjacent to Rancho Bernardo and the I-15 corridor, it is within easy driving access to the City of San Diego and San Diego's beautiful Coastal areas. 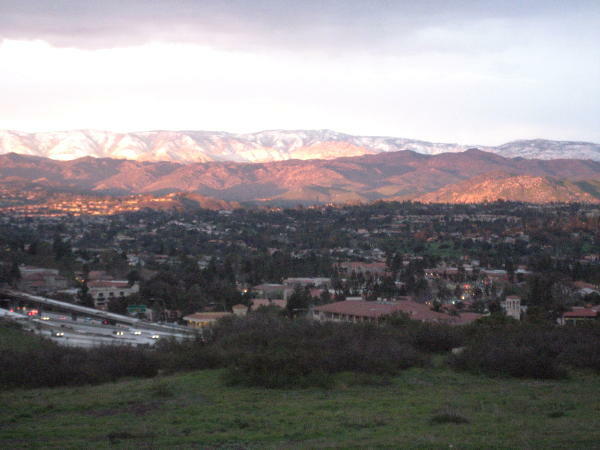 Rancho Penasquitos is located along the I-15 Corridor in the northern part of the City of San Diego. It is on the west side of the freeway, just south of Rancho Bernardo. Carmel Valley is to the west, and the Los Penasquitos Reserve is to the south. It is served by the Poway Unified School District. Sabre Springs is a community in the northern part of the City of San Diego. It is located just east of Interstate-15, north of the community of Scripps Ranch, south of Rancho Bernardo and Carmel Mountain Ranch, and immediately west of the City of Poway. It is served by the Poway Unified School District. Scripps Ranch is a beautiful community in the northern part of the City of San Diego. It is located on the east side of Interstate-15, just across from Mira Mesa. It is north of the Marine Corps Air Station at Miramar, south of Sabre Springs, and west of the City of Poway. Scripps Ranch is known for its Eucalyptus trees and walking trails that surround Miramar Lake. Served by the San Diego Unified School District, it is the home of Scripps Ranch High School. As the original seniors community in Rancho Bernardo, Seven Oaks is a thriving 55+ community with a full featured community center. This is an active walking community in the heart of Rancho Bernardo. The Rancho Bernardo Trails at the north end of the community are a collection of custom estate homes bordering the San Pasqual Valley. There are horse trails and tennis courts throughout the community, and many of the homes are characterized by their country estate settings. Bernardo Vista Del Lago is an upscale residential community at the northern edge of Rancho Bernardo. This is where I-15 meets Pomerado Road just south of Lake Hodges. Near the RB Community Park, Vista Del Lago is a gated community which backs up to Battle Mountain. Its community center includes impressive swimming and tennis facilities. This was the original family community in Rancho Bernardo. Today it is one of Rancho Bernardo’s major residential centers, anchored by the Westwood Club and Community Center. What is going up in the Rancho Bernardo Business Park? The Rancho Bernardo and 4S Ranch Business Parks are home to several of San Diego's major employers. Big developments are now underway, representing major investments in the future of this area. The I-15 Managed Lanes Project is well underway, with completion of the "Middle Segment" through Rancho Bernardo expected at the end of 2008. Included in this project is the Rancho Berndo Transit Center. Work is underway on the Rancho Bernardo Reservoir Rehabilitation Project in High Country West. A large crowd was on hand in Rancho Bernardo on February 22, 2009, the site for the beginning of the 8th and final stage of the Amgen Tour of California. Download your free photograph of the event.